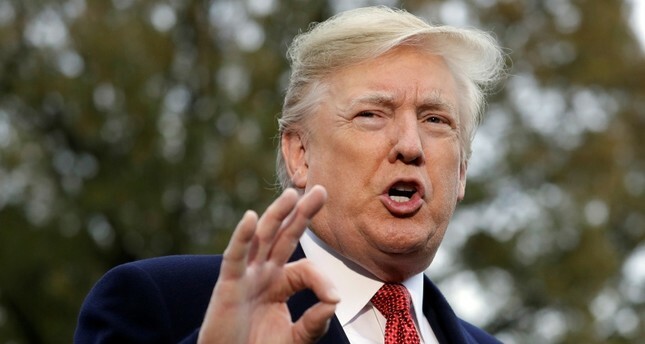 U.S. President Donald Trump said Friday that he signed an immigration proclamation, an order that would help effectively ban migrants who cross the U.S. border with Mexico illegally from qualifying for asylum. The proclamation puts into place regulations adopted Thursday that circumvent laws stating that anyone is eligible for asylum no matter how he or she enters the country. "We need people in our country but they have to come in legally and they have to have merit," Trump said Friday as he prepared to depart for Paris. Administration officials say the measures are in effect for at least three months, but could be extended. They go into effect Saturday and don't affect people who are already in the country. Homeland Security officials said they were revising staffing at the border crossings manage the crush, but it's not clear how migrants, specifically families, would be held as their cases are adjudicated. Family detention centers are largely at capacity. Trump has said he wanted to erect "tent cities," but nothing has been funded or decided. The U.S. is also working with Mexico to send some migrants back across the border. Right now, laws allow only Mexican nationals to be swiftly returned. It's unclear how many people en route to the U.S. will even make it to the border. About 4,800 migrants are sheltered in a sports complex in Mexico City, some 600 miles (965 kilometers) from the U.S. border. Several smaller groups were trailing hundreds of miles to the south; officials estimated about 7,000 in all were in the country in the caravans. The migrants are largely poor people and many say they're fleeing violence; more than 1,700 were children under 18, and more than 300 were children under age 5.